Side view from the parking lot next door. Seems like the ripple effect is real. With two major properties on the same block selling this year, the market is hot for other properties on Montrose. 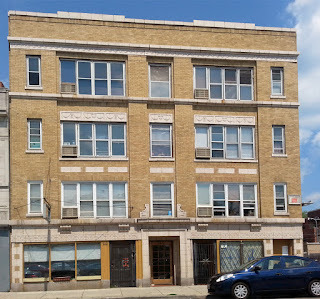 After the sale of Pensacola Place (between Sheridan and Hazel), and the empty Dearborn Wholesale Grocers across the street set to become retail, 944 West Montrose, immediately west of the Dearborn Wholesale parking lot, has sold for $1.95million. It's a 1929 building that doesn't look like it's had much TLC since it was last purchased in 1987 for $110,000. According to real estate records, it consists of 27 studio apartments and two retail areas. One of the storefronts appears empty and was last occupied by a driving school. The other was or is the home of the Polish Yachting Association of North America. The article announcing the sale of the building in REJournals doesn't identify the new owner of the property. It does say, "The rents were far below market. The new buyers saw this has a 'value-add' opportunity and are planning to rehab the apartments while upgrading the common areas." Another example of people that love the neighborhood getting priced out. We want development but we want to be able to afford to still live here. It's a shame! Twenty years ago, I loved living in Lakeview and got priced out of the apartment I rented there. I scraped together the money for a down payment and bought a condo in Uptown--making payments that were less than my rent, even though the neighborhood was VERY sketchy at the time. And here I am, an Uptowner. I understand completely, since I have the experience myself--but I also understand that if you don't have your skin in the game by owning (or mortgaging) a piece of the pie, then you don't get the luxury of dictating the rents or mortgage payments. The money to repair and upgrade these old buildings that have been neglected for decades doesn't just magically appear without strings attached (unless you own several Section 8 buildings and you're a crooked supporter of a crooked former alderman who wants to give you millions in TIF money from the neighborhood). The end-users pay for the development. 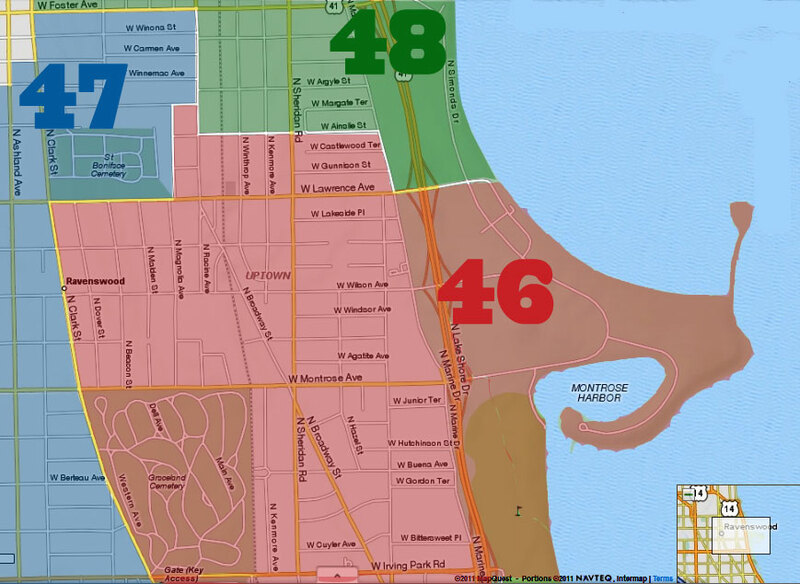 I still love Lakeview, just as I love Uptown, but I love Lakeview as an observer and visitor instead of as a resident. 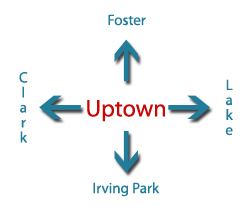 If you love Uptown but can't afford it as it improves, you might be someone who loves it as an observer and visitor. That's OK--it's the nature of things. Those that have property here, and pay taxes, welcome these developments with open arm's. More taxes paid into the area, better services, better retail, money spent in our OWN neighborhood , we have waited a long time for this. Agreed Mark P. We've been waiting for decades to get our neighborhood the proper developments, retail, and services that we've been paying for but not receiving. It's time. Thank you to the developers and aldermanic staff. Keep it coming--we want more development and more vitality! Uptown is on the rise! Now someone needs to buy or just cleanup the corner building next to one and clean up the floor above the hot dog restaurant. Plus clean up the retail space of the tall building around the corner on the south east corner of agatite and sheridan. Oh and also the little strip mall on Sheridan and sunnyside. 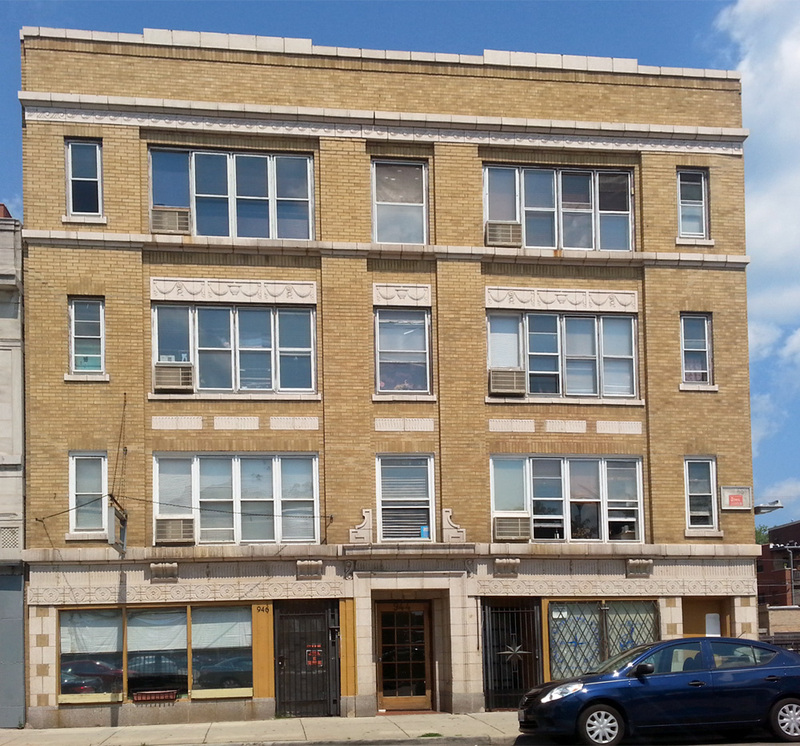 And lastly Flats needs to buy the SRO hotel on Wilson already and renovate it. Those are my birthday wishes! In the upper right hand corner, under "Recent Comments," it says "195 m." Naturally, I had to click on the link. It looks like a very good location. I vaguely recall a planned project called something like "the Shermon Plaza." Perhaps the Shermon Plaza will make the location even more desirable than it already is. Koocachoo72, that’s what I like to see—enthusiasm!